A medium modulus elastic sealant for indoor and outdoor use in applications where joint movements are limited. Moisture curing. Has excellent adhesion to most building materials. For sealing around window, door and connection between roof and wall. Gives a matt and nice looking surface. 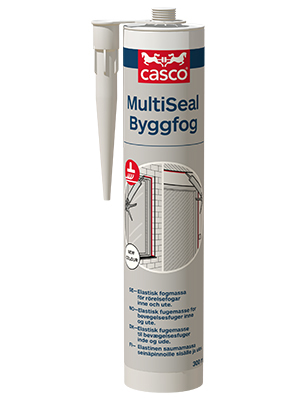 Multiseal/Byggfog has excellent adhesion to most building materials. 2-3 mm the first 24 h. Approx. 10 mm after 7 days.